Whether you're rodeoing, showing, jumping or just out for a ride, horsemanship makes the difference between a great time and a bad day. Which is why we at Stallings Performance Horses focus our training programs for horses and humans on the fundamentals every horseman needs to be successful. Multi-time World Champion Kevin Stallings and his team of horse professionals will simplify complex maneuvers to help you step into high-end performance. Our goal is to put Champion horsemanship into your horses and you to fuel the best possible success, regardless of your riding focus or skill level. From colt starting to tuning World Champions, we'll create a program for your needs. 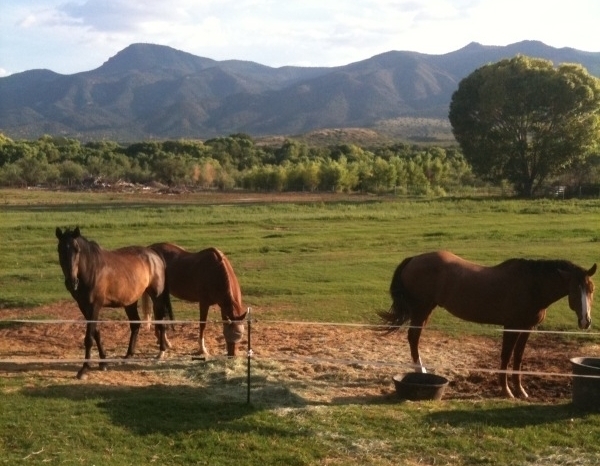 Our ranch features 27 acres on the beautiful Verde River. Facilities include arenas, cutting and round pens and hot walker. We have green pastures for boarding and turnout, as well as a stall barn for show horses and two mare motels.